To be clear, facial masks have not yet achieved mass following in the U.S. as opposed to in Asia, where facial masks are widely accepted as a necessity. In fact, men also use facial masks. One mask, one easy application: It’s easy. Masks offer a wide range of benefits, such as clarify, moisturize, cleanse, lighten, soothe and so forth. You can tailor your need (whatever your skin is feeling then) to the masks. Portable: Facial masks come in neat little packets that are light and easy to carry. You can put it in your purse, tote (or Murse, aka your man bag), and they are great travel companions. I put them in my carry-ons whenever I fly to avoid air travel-driven haggardness. As someone who uses facial masks twice a month, and who never flies without them, I am happy to discover I can now get M.I.T. Made in Taiwan facial masks via I Heart Plain Jane, an online shop that features only facial masks made in Taiwan! But back to the Panda. I liked the mask. For one, it was moisturizing and top quality — the sheet (aka mask) was not too flimsy, didn’t tear and sat on my face nicely throughout the duration of masking. Would I buy it again? 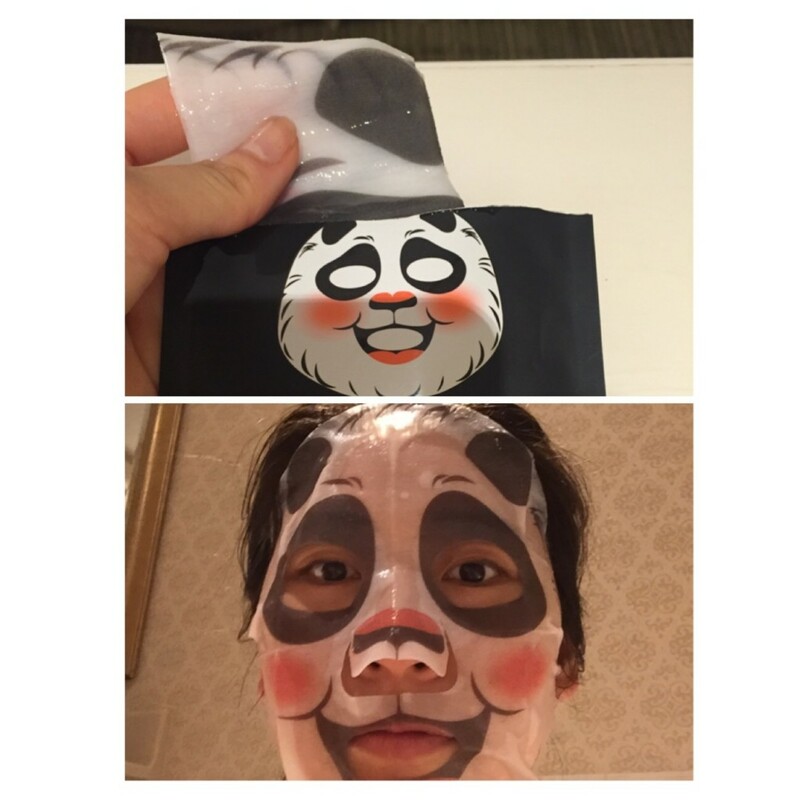 Yes, but Panda masks will be in my “For Special Occasion” facial mask pile. Fun with friends (sleepovers! ), and your special significant other, but be warned, don’t laugh too hard. You don’t want laugh lines/wrinkles do you?